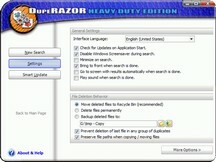 DupeRAZOR - Duplicate Files Removal Kit from Urban Twilight Studios detects and removes true duplicates from your PC or network using the most advanced and up-to-date file comparison technologies to find duplicates regardless of file name. With it's self explanatory and user friendly wizard-like interface, handy image preview and built-in hint system this duplicate file remover is extremely easy to use, even for the most inexperienced PC user. Several protective settings are available to add extra safety for novice users: Windows directories exclusion, last file per group protection and full file backup. DupeRAZOR allows selection of drives, folders or even single files to be compared or excluded through a comfortable file tree with the ability to find duplicates in external drives and over the network. This software comes with a 100% money back guarantee - if you buy it and don't feel like it was worth the purchase, you will be refunded the full price, no questions asked. Finds true duplicate files (songs, pictures, videos and other files). Interface carefully designed to be extraordinary intuitive user-friendly. Self explanatory Interface with comprehensive hint system. Allows selection of drives, folders or even single files to be compared or excluded. Uses Windows-native file type icons. Moves files to the Recycle Bin or deletes them permanently. or, Moves files to a selected directory for further validation purposes (safety reasons). 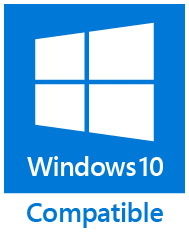 Protective settings to exclude Windows directories and to protect files. 30 days trial + 100% money back guarantee.